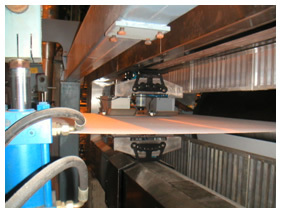 Technology Trade Consulting Inc. was formed in 1991 to provide cost effective automation solutions to the pulp and paper industry. Through continued innovation, the company has evolved into a global supplier of quality control systems (QCS) for online monitoring and control of the pulp and paper manufacturing process. Our range of products and services is aimed at supporting the productivity and quality quest of pulp and paper mills at the lowest cost of ownership in the industry. Our business philosophy is based on system integration. We use our industry experience and expertise in measurement and control applications, coupled with the latest software technologies and industry standard equipment, to deliver solutions that provide the best return on investment to our customers. Our latest development uses the popular “plug and play” computer feature to break the barriers to interoperability that characterizes traditional QCS installations. Introduced in the market in 2005, this approach to building measurement and control systems brings the benefits of network computing to the plant floor and opens opportunities for easy integration of the QCS into the mill wide information system and the world wide web for delivery of remote technical support. We supply a range of specialized equipment for quality management and increased production efficiency through distribution arrangements with other manufacturers of high technology products. We deliver to our customers through a global network of subsidiaries and strategic alliances established to provide sales, engineering and support services to end users. In line with the open system technology and self-service philosophy, we provide training and empower end users to use mill resources to maintain the installations. Technical support is available through the internet or on site to ensure optimum uptime of the systems at minimum cost. We have forged alliances with other companies to overcome the challenges faced by small businesses in a global market dominated by large multinationals. Large projects can be taken on, where additional engineering resources and technology are brought on board under our core business and project management. The Quality Control System consists of a smart scanner driven by a programmable logic controller (PLC), network-ready measurement sensors and operator stations connected to a high speed Industrial Ethernet network. The open architecture provides unlimited connectivity to configure the system for standalone applications, or as part of a mill wide distributed control system (DCS) for machine direction (MD) and cross direction (CD) controls and integration into the mill business network. Scanner and sensors are selected and specified for various applications including tissue, fine paper, paperboard and pulp dryer machines. Proven scanner design, industrial grade PLC and microcontroller modules ensure reliable performance in the paper mill environment with minimum maintenance requirements. 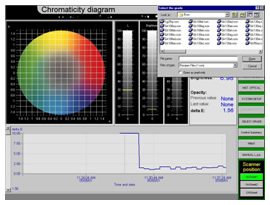 Ongoing development of the colour application to the pulp and paper process started in 1998, has produced a fully fledged Online Colour Measurement and Control System. Installations in Canada, the U.S. and the PRC have shown proven results. The system can be installed on a fixed point or traversing scanner and colour measurements can be interfaced to existing distributed control systems or PLC for closed loop colour control. More development is underway to apply the latest in photonics and fiber optic technologies to the pulp and paper industry. We supply and service laboratory instruments and systems for online monitoring of pulp and paper quality using advanced image analysis technology to the Brazilian and Chilean markets, through a distribution agreement with OpTest Equipment Inc. of Hawkesbury, Ontario. 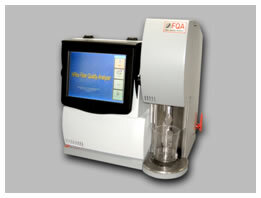 The Fiber Quality Analyzer™ (FQA), the flagship product for fiber characterization has had excellent acceptance in the world markets for its accuracy, reliability and conformance to prevailing testing methods in the industry. The Paprispec™ for on line detection of plastic contaminants in the pulp line has been adopted by a prominent pulp producer in South America for its demonstrated and fast payback. For more information, please visit www.optest.com. The management team consists of hands on manager, Hernan Cecereu, Professional Engineer with a strong background in the industry and business credentials obtained at McGill Executive Institute, Montréal. Financial management is supported by Gilles Paradis, Chartered Accountant who has provided services since 1993. Controles Electronicos de Monterrey S.A. de C.V.